An unexpected turn of events brought the team from Interstate Batteries back to Dorie’s Promise last November. We enjoy the opportunity to host teams of all varieties, most of which include families or church groups. We were especially excited for the opportunity to experience the dynamic brought by a team of coworkers. Serving others is one of the foundational values at Interstate Batteries. For more than 20 years, their chaplaincy department has connected team members with opportunities to serve others. Both locally in the Dallas area and worldwide (including Russia, Mexico, Hungary, and Romania), team members are using their gifts with full company encouragement and support. In 2013, Interstate Batteries organized its first missions trip to Dorie’s Promise. Twenty-one team members from across the United States and Canada convened in Guatemala City. Over the course of a week, the team helped renovate a tutoring center and built bathrooms for a community without facilities. 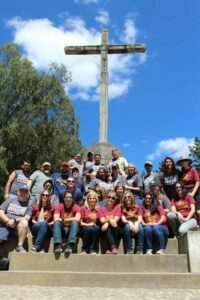 Most importantly, the team gained a new understanding of the needs in Guatemala and the ways they were being called to serve. As mentioned, an unexpected twist brought the team back to Dorie’s Promise last year. Just 16 days before their scheduled departure for another country, the team received news that they would not be able to make the trip as scheduled. Twenty-seven team members were left with unusable airline tickets, a week’s worth of approved leave, and a significant amount of funds raised for in-country projects and donations. Immediately Dorie’s Promise came to mind. 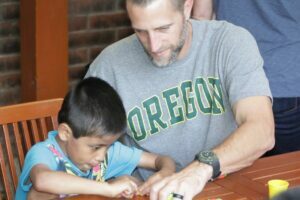 As luck would have it, their intended travel week was open and the team pivoted to Guatemala. Without the experienced staff and smooth missions trip process, the Interstate Batteries team would have been forced to cancel their trip completely. Instead, they simply changed flights and redirected funds. For many of us, our jobs are full of important tasks with little time left over to understand our coworkers beyond the role they fill at work. Taking time away from normal routines provides important benefits to each individual and your team as a whole. According to Adam Bowman, Associate Chaplain at Interstate Batteries, organizing mission trips is one of the most impactful things their department does throughout the year. By exposing team members to struggles in other parts of the world, they gain an understanding of how to serve others better. 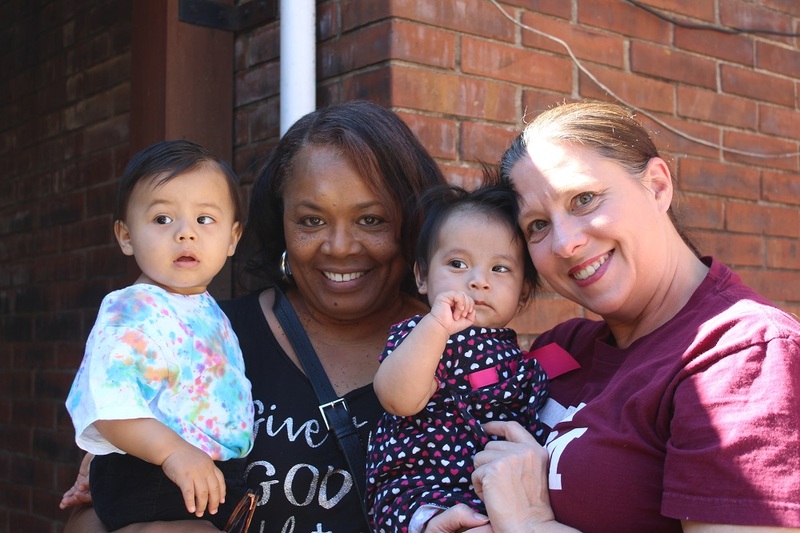 As they witness both struggle and faith in communities, team members are often spurred on to spiritual growth which translates into their life at home. Each group experiences a unique bond lasting for years, connecting those who may not have worked together previously. Team members experience “a glimpse of how they were created to love” and see the joy they find in serving others. 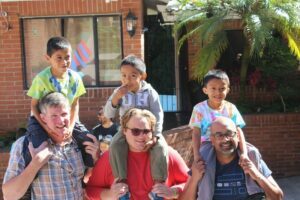 If your team is ready to experience the benefits of serving together, join us on a missions trip to Dorie’s Promise.